Do you feel trapped within your everyday problems? Do you yearn for a more fulfilling life, yet feel powerless to achieve what you want? You've probably been living with poison in your system for some time now, and instead of seeking out detox, you've gotten used to the infection. Svein Erik knows where you're coming from because he's tried everything to make the poison go away: self-development, meditation, therapy, and even medication. These solutions provided a temporary fix at best, and then he was right back where he started. Finally, after years of searching, he's found the antidote-and he's eager to share it with you? 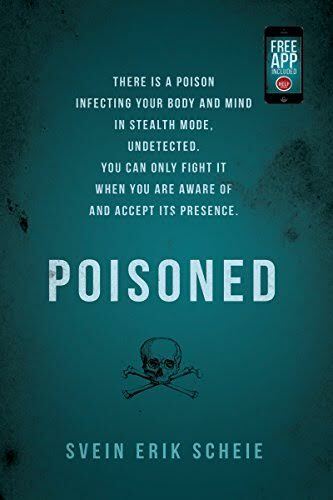 Poisoned is an interactive guidebook that will help you end your own self-destruction, redesign your life, and improve your resistance to the common poisons of human existence. It includes a FREE companion App that offers useful reminders, affirmations, and tracks your progress. The app even has an emergency button to assist you in challenging situations. The book offers a totally different perspective on your self-help, and start off from a very different stand point than you may be used to from other self-help books. The Process will teach you how to be glad in everyday life, to live a fulfilling life, a good life, by focusing on the bright sides of life. You no longer have to feel overwhelmed and out of control. With the few simple exercises in this book, you can take back your life and look forward to a happier, healthier future.